At Mainline Health Systems in Dermott, Star City, and Wilmot, Arkansas, our team of highly trained and qualified dentists, as well as our friendly and professional support staff, provides exceptional oral health and dentistry services for you and your family, regardless of your ability to pay. From the time you make your appointment until you walk out the door, you will receive attentive service and individualized care from all of our dental professionals and staff. Dr. Skylar Garner is a 2009 graduate of Monticello High School, received her B.S. degree in Biology from Ouachita Baptist University and then was accepted into the University of Tennessee College of Dentistry, Memphis, TN where she received her Doctor of Dental Surgery degree. In July of 2017, Dr. Garner and her husband moved to Monticello where she joined Mainline Heath Systems as a dentist in their Star City clinic. Dr. Garner went into dentistry because she loves helping people and had great experiences with her own dentist while growing up. She loves working for Mainline because they have a great team who truly want to help others. Dr. Abu Faisal Hasme graduated from New York University College of Dentistry with a Doctorate of Dental Surgery. 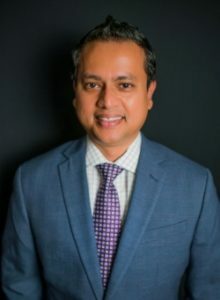 Dr. Hasme also has a Master's degree in Public Health with a concentration in Epidemiology and International Health from the University of Alabama at Birmingham. Dr. Hasme understands the importance of continuing education in an ever-changing profession. Each year he spends a considerable amount of time in learning new techniques and working on the art of dentistry. He has made a commitment to his patients to always provide them with the highest quality dental care. He is a member of the American Dental Association, Arkansas State Dental Association, and the Southeast Arkansas Dental Association. In his free time, Dr. Hasme enjoys reading, traveling, football (both college and NFL) and music. Dr. McDaniels received his dental degree from the Washington University School of Dentistry in St. Louis, Missouri. He has practiced dentistry since 1962 and joined Mainline Health Systems in 2003. Doctor of Dental Surgery Dr. Pennington graduated from the University of Tennessee College of Dentistry in 1965. He joined Mainline Health Systems in 2014. He is a member of the American Dental Association, the Arkansas Dental Association, and the Academy of General Dentistry. 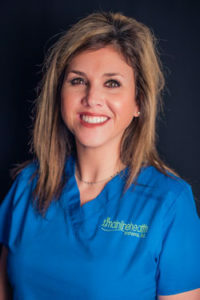 Layne James, RDH received her bachelor’s degree in biology from Arkansas Tech University and her degree in dental hygiene from the University of Arkansas for Medical Sciences. She joined the Mainline staff in March 2014. She enjoys riding horses in her free time. Hillary Montgomery, RDH graduated from Hamburg High School in 2004. She went on to attend the University of Louisiana at Monroe and graduated with a bachelor of science in dental hygiene in May 2008. She has been with Mainline since June 2011. Claudia Holthoff Sullivan graduated from Dumas High School in 2001. She received her bachelor's degree in Health Science from the University of Arkansas at Fayetteville. She attended dental hygiene school at Mississippi Delta Community College in Moorhead, MS. Before joining Mainline in 2018, she worked in private practice for nine years. Claudia is involved in her church. She loves riding horses, going to the lake and spending time with her husband, Lance and two kids, Blagg and Bo Bassett.